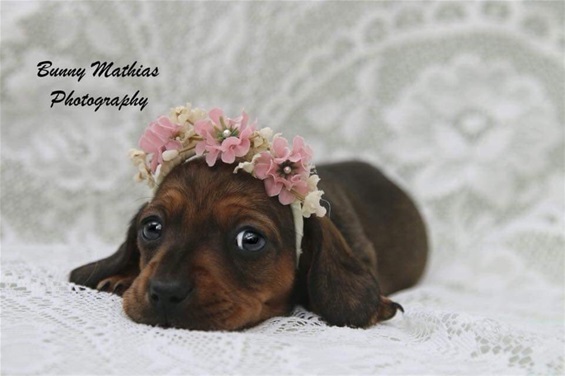 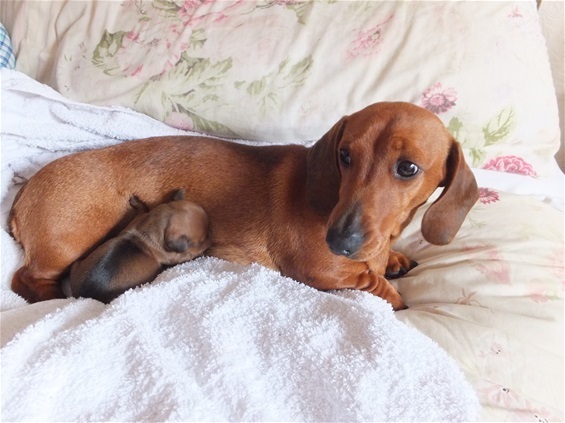 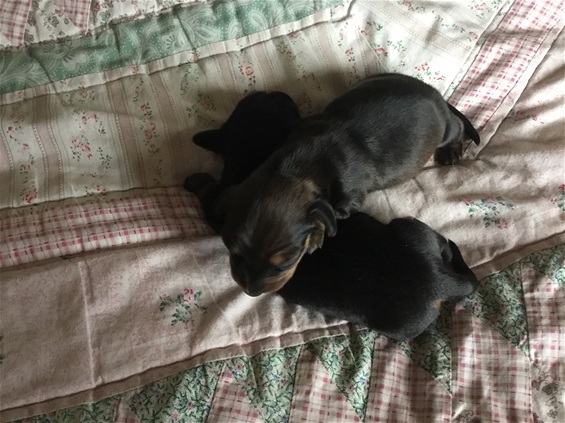 We currently have both boy and girl puppies in black & tan available plus one red girl. 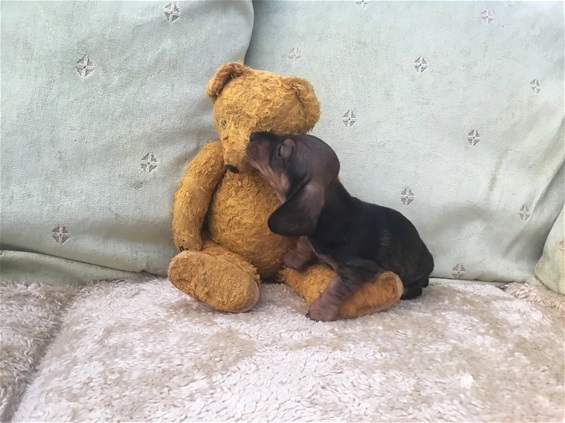 See below for more details, please contact us at anytime if you would like more pictures or information. 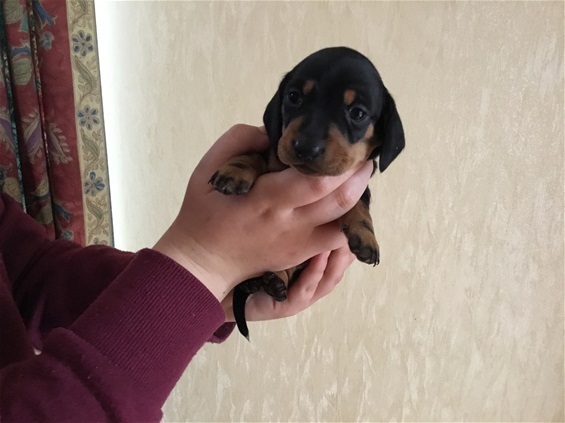 Ebony’s boy puppy at 5 weeks old, available from around May 12th when he will be 9 weeks old. 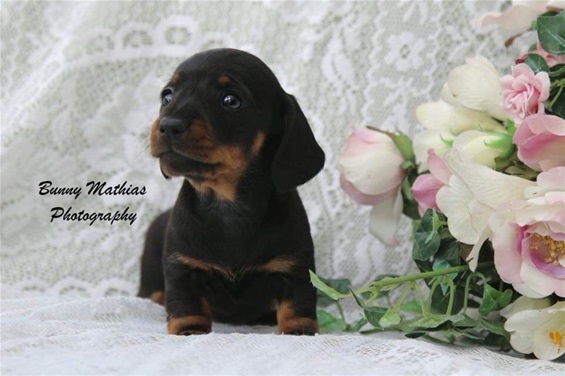 Ebony’s girl puppy at 5 weeks old, she will also be available soon. 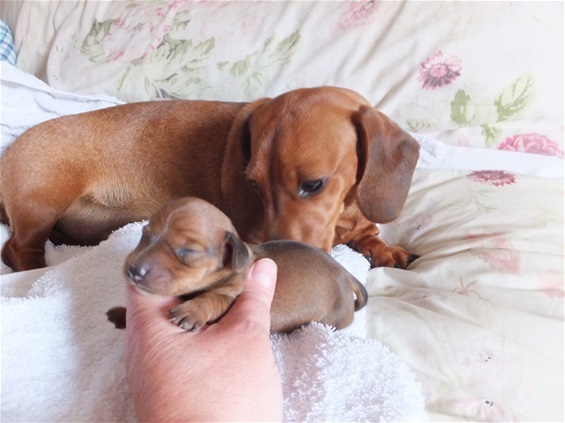 Ruby’s red girl puppy at 5 weeks old, she will be available soon. 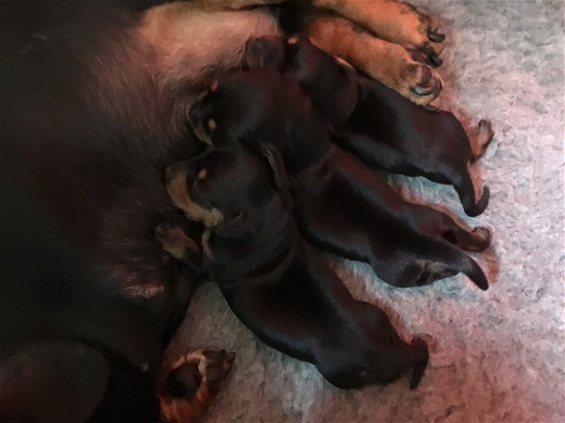 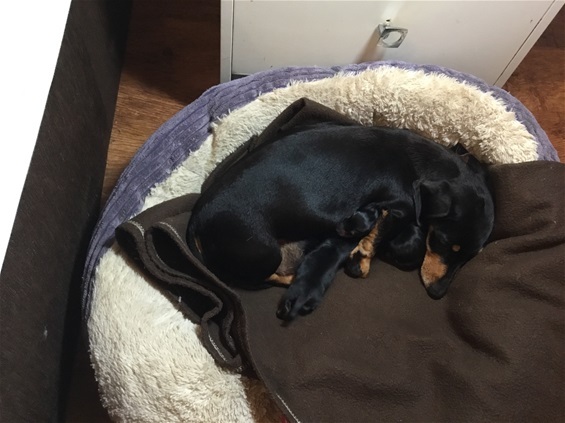 We are pleased to announce the birth of 2 litters, both born on March 10th 2019, Ruby’s puppies arrived a day late and Ebony’s a day early! 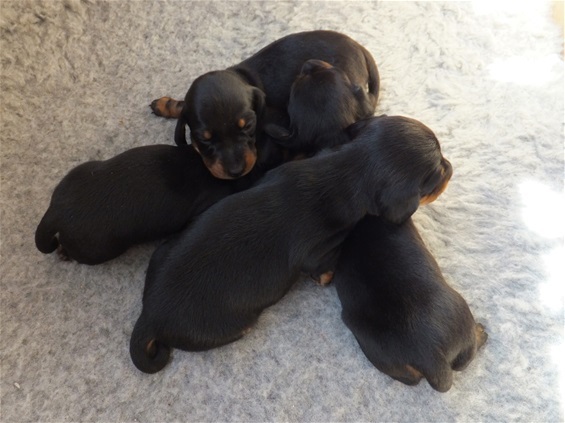 Ruby's puppies, 1 black & tan boy (£1200), 1 black & tan girl and 1 red girl (£1600). 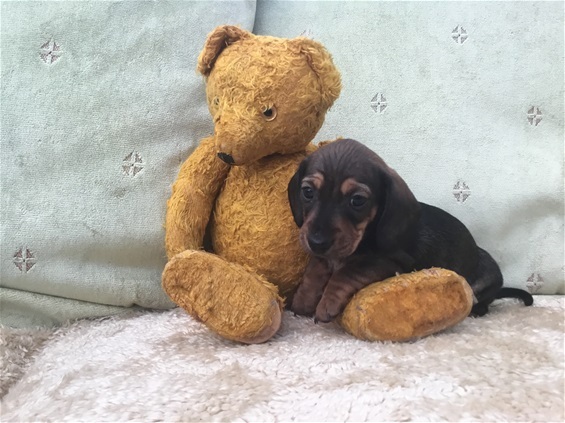 They will be available from around May 12th when they are 9 weeks old, they are kennel club registered and will be vet checked, microchipped & insured before leaving home, both parents are DNA tested and the puppies will not be affected by PRA. 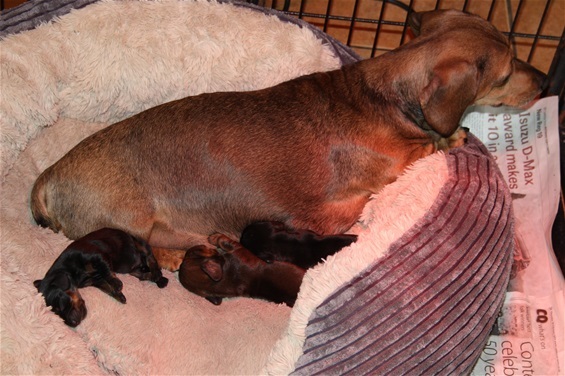 Ebony's puppies, 1 boy (£1200) and 3 girls (£1600). 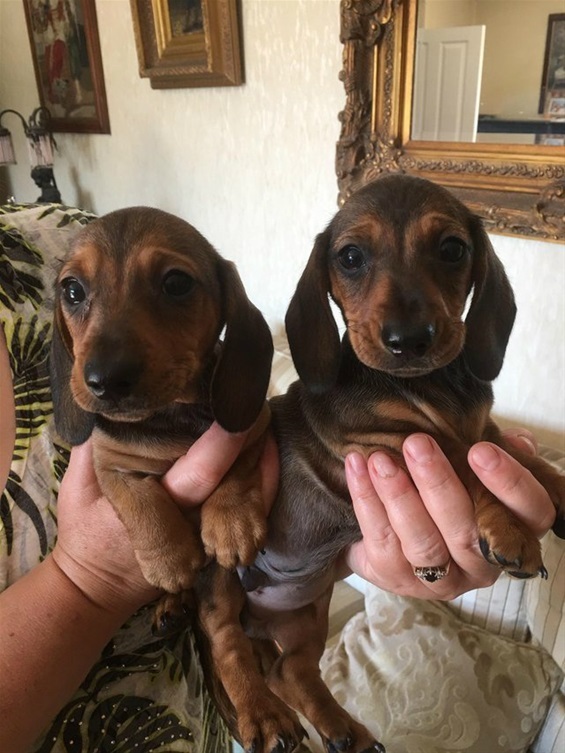 They are kennel club registered and will be vet checked, microchipped & insured before leaving home, both parents are DNA tested and the puppies will not be affected by PRA. 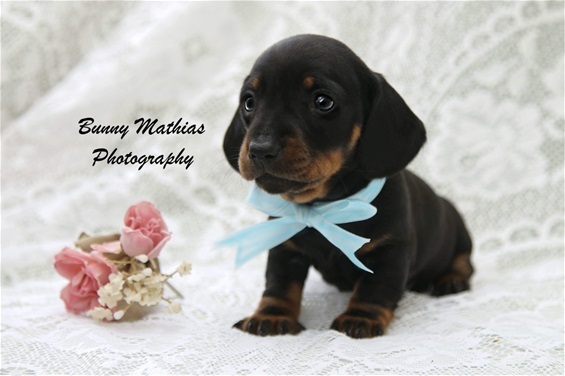 For regular updates, photos and videos please follow our facebook page .... Dapperdax dachshunds & Lakeland Terriers. 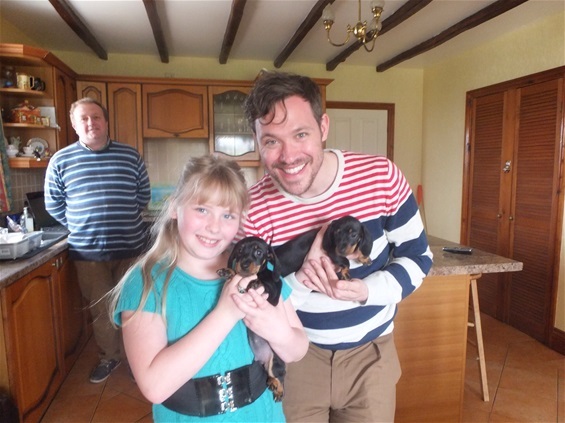 Pop singer Will Young collecting his puppy from us. 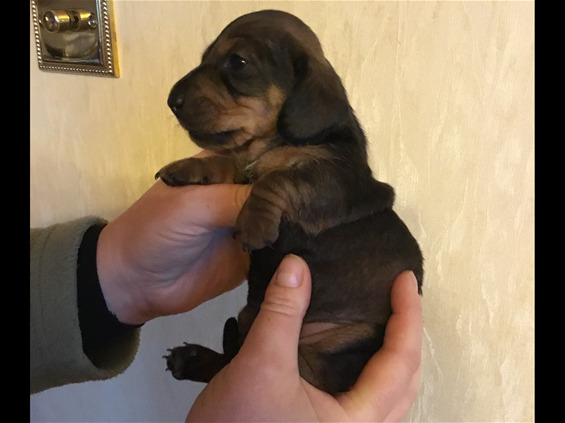 5 weeks old (Ruby x Zebedee) 2017.